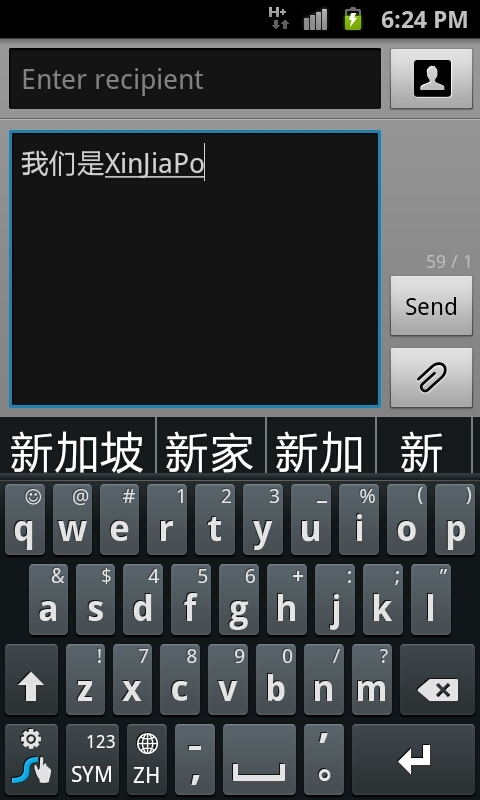 Ever wondered what's the best way to send out that Mandarin SMS or Whatsapp message to your Chinese friend or colleague? Here's the fastest way to enter Chinese text in Android, particularly if your Android mobile phone or tablet is one of Samsung's Galaxy series, HTC, or another model that comes with Swype pre-installed. These instructions were taken with and are meant for the Samsung Galaxy S2 GT-i9100 model, but it should be quite similar for other supported models such as the Samsung Galaxy Tab 7.7, Tab 8.9, Tab 10.1 or the Galaxy Note and so on. 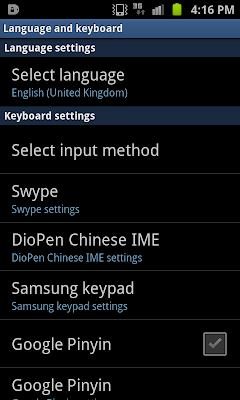 First, if you have not already done so, go to Settings, Language and keyboard, Select input method (as above), and select Swype. 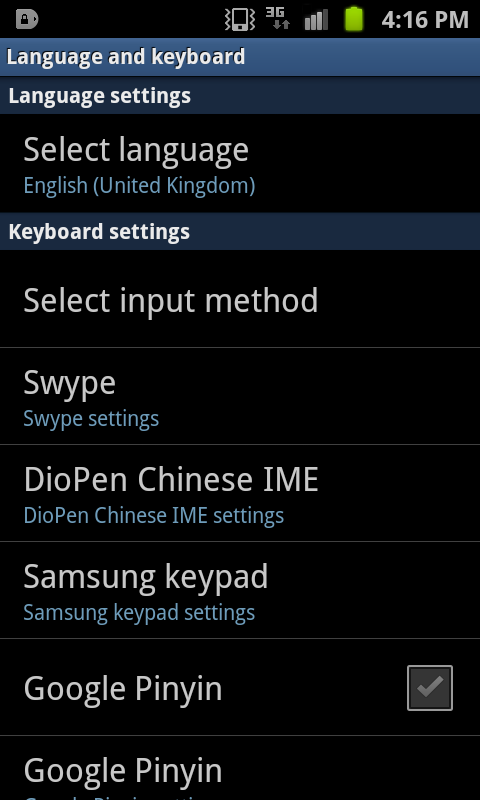 Next, select Swype settings (under the Select input method option) and un-check all the other languages that you typically would not use. For myself, that leaves me with US English and 简体中文 (that is, Simplified Chinese) as above. Now you're all set. When you next need to enter text in an SMS, message or any other text input box for that matter, simply look for the "En" icon at the bottom of the screen. 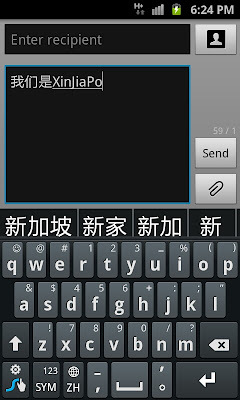 Tap once to change to ZH mode (ZhongWen), and then you can simply Swype any valid Hanyu Pinyin combination. 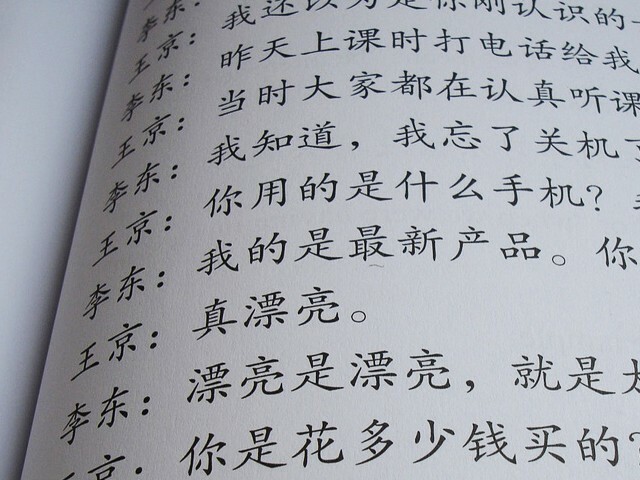 The wonderful thing is that this works for both single words and for linked phrases as well (like "xinjiapo", or "Singapore", as above). That's 3 words at one shot in a single Swype motion. How about that? I can put out around a very respectable 10-15wpm if they are mostly single words. 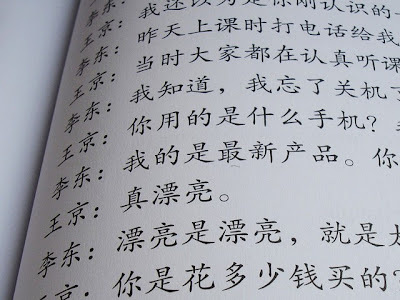 My Chinese typing speed can actually go up to an incredible 20-30wpm if I incorporate linked phrases such as “新加坡” (Singapore) as shown in the example screenshot above. I can't even write anywhere near as fast with conventional pen and paper since it doesn't "support" linked words. As for the other methods, such as word-by-word handwriting recognition, for me they are as slow as pen and paper. Often even slower, since there is this element of trial-and-error sometimes when your handwriting strokes are not recognized.